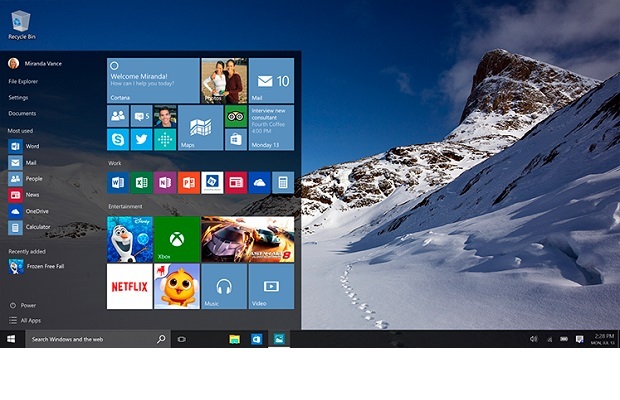 Microsoft has revealed what Windows 10 user activity is tracked via its new operating system (OS), Windows 10. In a blog post, Microsoft shared some impressive numbers about the uptake of its new web browser, Microsoft Edge, and digital assistant, Cortana, among others. So far, 44.5 billion minutes have been spent surfing the web with Microsoft Edge, while some 2.4 billion questions have been asked to Cortana on Windows 10. 82 billion photos have also been viewed on the new Photos app and over four billion hours have been spent playing PC games. There was good news for Bing too, as the company’s search engine has experienced a 30% jump in queries on Windows 10 compared to previous versions of Windows. However, Microsoft’s ability to obtain this information has raised questions about privacy once again. Until now though, relatively little has been known about what data is being collected. A spokesman told BBC News: "Microsoft is deeply committed to protecting our customers' privacy. "Consistent with all modern services and websites, the Windows 10 information highlighted in the blog on January 4 is standard diagnostic, anonymous analytics that enables us to deliver the best Windows 10 experience possible." Terry Myerson, Microsoft executive vice president of Windows and devices, previously assured users that neither Windows 10 nor any other Microsoft software will scan emails or files to deliver targeted advertising. Microsoft also reported that Windows 10 continued to be the fastest growing version of Windows, outpacing the adoption of both Windows 8 and Windows 7.